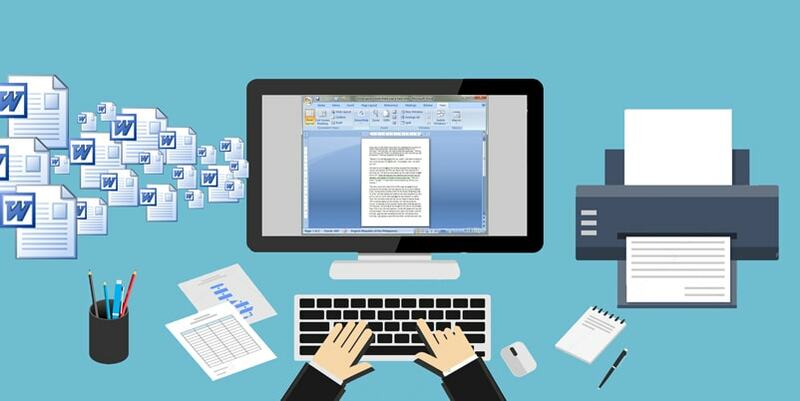 MS Word is one of the most commonly used features in the digitized working ecosystem of your company. From letters to reports and from online databases of product manuals, you can use MS Word for entering any sort of data. Well, do you have the manpower to enter all the available information into MS Word? Even if you have a professional team for your business, do you have the economic resource to maintain data entry team? Moreover, the technology required to simplify huge volumes of MS Word data entry work is not available in many parts of the world. If you are in such a situation, you can simply outsource MS Word data processing services to us. We, at Sasta, provide top-quality data entry services in MS Word at affordable rates and amazing speed. If you feel bogged down due to the competitive situation in the market, feel free to come to us. Sasta delivers world-class services with sophisticated technology, able manpower and flawless understanding of the requirements of the clients. 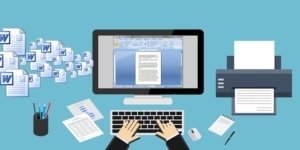 Outsourcing the data entry services in MS Word will definitely cut down the expenses to a fraction. Data processing and outsourcing is important for various industries, especially in small business. So, outsource MS Word data processing services to Sasta and invest your money elsewhere to boost your profitability. Our professional BPO data entry team is competitive enough to deal with any sort of information in any given language. You can assign us with bulk data entry work in foreign languages as well. We have separate teams of professionals to deal with these aspects. Our experts are well-versed with all types of fonts and file formats. You can fancy a boost in your business infrastructure when you bank on Sasta. From text to numbers, we are comfortable in dealing with any sort of data. We tackle data entry for books, resumes, manuals, letters, applications, in-house documents and anything that you can incorporate using MS Word. The use of updated technology ensures that you will get the services free from errors. We are aware of the fact that typing errors rob the documents of its authenticity. This can cause serious damage to the finance and reputation of a company. This technology-oriented infrastructure, along with skilled manpower, can simplify complex working procedures to nothing. The core team of professionals is adept in dealing with all the features of MS Word, so you need not worry about the quality of our services. In case you are planning to outsource your services, Sasta is the ideal data entry service provider. You can enjoy the benefits of outsourcing MS Word data processing services to Sasta whenever you approach us over the phone. Our dedicated customer support team provides all-time assistance to the clients. Here are some of the other benefits that you can enjoy at Sasta. Expertise: Our trained team of professionals is capable of tackling any volumes of data with confidence and expertise. You will enjoy the services, as can deliver the finest quality of services. Data Security: We do not disclose any data to other companies. You will enjoy the professionalism we maintain. Affordability: Coming to the factor of affordability, you need not worry a bit. Our charges are surprisingly low and you will find it friendly to your pocket. Timeliness: We never falter with the turnaround time. You will get the work delivered well before the deadlines. With all these benefits, we can propel your business to greater horizons. It is really essential to get a professional hand by your side in the face of competition. Contact us immediately if you need any sort of offline and online typing jobs.